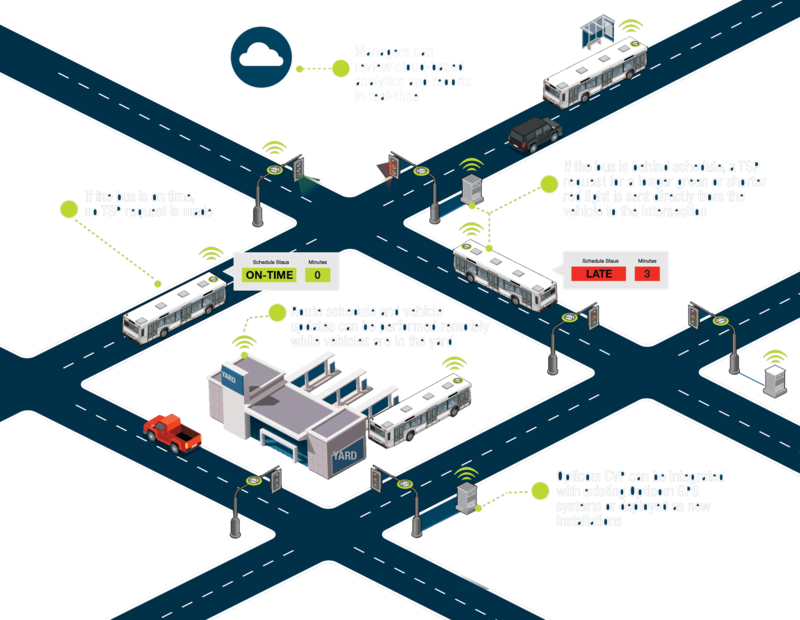 The Opticom Connected Vehicle Platform (CVP) provides the most advanced Transit Signal Priority (TSP) solution from GTT. The modular and expandable Opticom CVP is comprised of proven hardware, advanced software and comprehensive services that enable transit agency savings by improving efficiency. The Opticom CVP builds on GTT’s GPS-enabled technology and adds powerful cloud-based capabilities for more control and management. The CVP adds a new level of expandability; for example, in addition to transit signal priority, automated schedule adherence can be installed and run to compare a bus’s location to that of its published schedule. To the extent the bus is late, the automated schedule adherence turns the transit signal priority system on, which helps to catch the bus back up. Over time, cloud-based analytics can be used to identify trouble spots and opportunities for improvement on the route, so that efficiency adjustments can be made. These and future applications are designed to improve operations, reduce costs and increase the level of rider satisfaction. Built on more than 45 years of Opticom signal priority performance and reliability, the new Opticom CVP provides the intelligence to improve transit operations and the power to connect cities today and into the future. See Opticom in action. Watch how GTT works with communities like yours to drive better outcomes.